Over time even the most stunning vehicle can start to show its wear. Have your vehicle's luster and shine returned to you by one of our in dealership detailing experts. Requires a visual inspection of your vehicle for an accurate estimate. 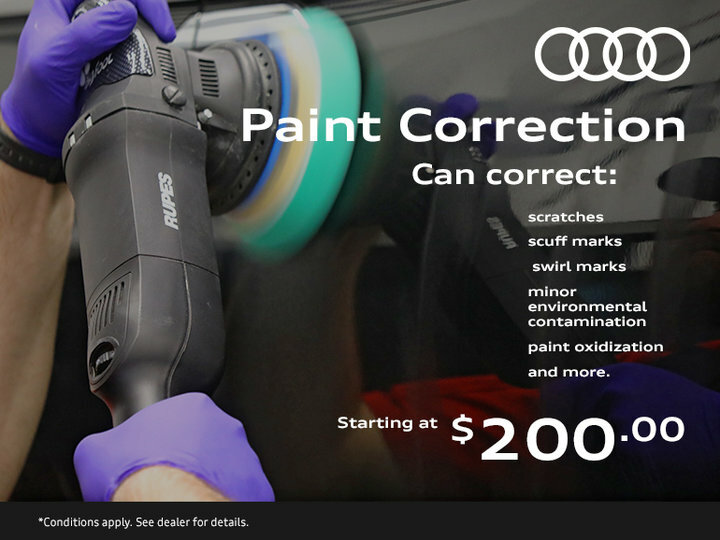 Can correct scratches, scuff marks, swirl marks, minor environmental contamination, paint oxidization, and more. Reach out to your service advisor for a free estimate. I wish to receive recalls, news and promotional emails from Audi Kitchener-Waterloo.